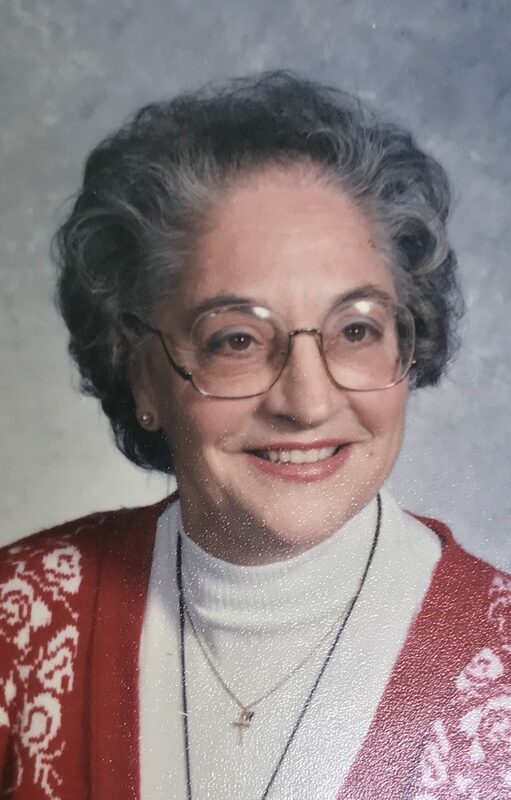 Esther Ruth Calderone Rayner went to be with the Lord on Sunday, August 26, 2018. Born February 11, 1929 to Salvatore and Rose Marie Calderone of Scranton, she was a life-long resident of Scranton and Clarks Summit, prior to her most recent home at Wesley Village in Jenkins Township, PA.
She was preceded in death by her husband of sixty-two years, Robert E. Rayner, and is survived by three children: Robert (wife Jennifer), Roanne, and Richard (wife Leslie), three grandchildren – Joshua Rayner (Ashley), Stephen Rayner (Ruth), Jason Rayner; and many nieces and nephews. Mrs. Rayner was one of eleven children, eight of which preceded her in death and surviving are a brother Gerald Calderone and a sister Elsie Whitten. A 1946 graduate of Scranton Technical High School, she was once employed by Third National Bank in Scranton and the Abington Heights School District. 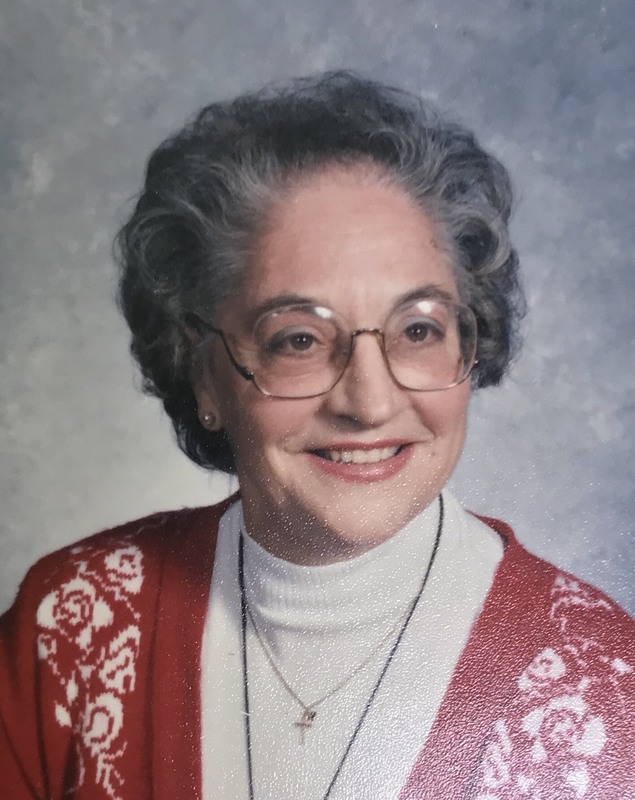 A long-time member of St. Peter’s Lutheran Church in Scranton, Mrs. Rayner was dedicated to numerous church activities throughout her life, including the Lutheran Church Women. She was popularly known as “Lady Esther” in support of her husband’s many years of involvement in Masonic organizations, and famous for her spirited personality, unselfish dedication to her family and friends, and the kindness and warmth with which she embraced everyone. Funeral services are scheduled for Saturday, September 1, at St. Peter’s Lutheran Church, 1000 Taylor Avenue, Scranton, PA. Visitors may call beginning at 9AM, with funeral services scheduled in the church sanctuary at 11AM. Internment at Dunmore Cemetery will follow, with a luncheon provided for visitors immediately afterwards. friend Ro who so dedicatedly advocated and cared for her Mom. before I met you all! Peace Be Upon You, Esther Ruth! May the Good Lord Guide Your Spirit into Everlasting Light! Esther’s Name is written in The Book of Life! Please accept my and my family’s sincere condolences on Esther’s passing. Do take comfort in knowing your Mom lived a truly marvelous life of love, joy, spirituality and family! Her infectious laugh, warm heart and sincere, positive attitude will forever be etched in my memory, as I’m sure is the case for so many who had the pleasure of making her acquaintance! I am certain she is back with her true love Robert E. along with her friends and family members who had passed before her. I am also convinced that on certain starlit nights, we’ll be hearing all their joyous voices echoing through the heavens above. And then, there’ll be a brief moment of silence, until a lone woman’s “laugh” bursts like an explosion of sheer joy and love that is soon followed by additional laughter and hoots from all of her gathered friends!